Mr. and Mrs. White with some of the Carrolup boys and the Peet family. Back row: Barry Loo, Mr. Peet, Noel White, Adrian Allen and Mrs. Peet. Middle row: Lily White and the three Peet girls. Front row: Parnell Dempster, unidentified boy and Reynold Hart. Photograph taken in 1949. Noel & Lily White Collection. Good morning. Today, we head back to Perth this morning after a very enjoyable week staying with Tony Davis in Albany. We’ll drop into The Kodja Place in Kojunup to meet John Benn, who as a youngster was taken to Carrolup by his mother, a local teacher. There, he saw the child artists of Carrolup at work. Yesterday, we met up with Ezzard Flowers who travelled with John to see the ‘lost’ collection of Carrolup art in the Picker Gallery at Colgate University in America in 2005. John and Ezzard have remained the best of friends since then, while David met Ezzard for the first time yesterday. You can meet Ezzard here. John had time to read a fascinating book about the history of Albany, whilst David was reading about 50 pages of the draft of Tony Davis’s book on Bella Kelly and the South West, the part that focuses on the Carrolup Story. Tony and David had long discussions into the evening. The three of us were pretty worn out by the end of the night. For those of you who haven’t read the Project Importance page, we thought we’d revisit this importance, making some additions to what we originally wrote. Our one-liner captures just one element of the fascinating Carrolup Story. As our project unfolds, you will be able to join our journey through time, as we share many Stories from before, during and after the period that the Aboriginal child artists lived at Carrolup. The Aboriginal children of Carrolup ‘reached out’ to white society with their drawings in the 1940s. We are now helping them reach out again. We will celebrate the children’s artistic talents, as well as their scholastic, musical and sporting achievements, and their strong personal values and sense of community. Many Noongar people consider the Carrolup Story to be one of the most important stories about their culture since the colonisation of Western Australia by Europeans. The children’s art has inspired four generations of Noongar artists. It is very important to us that our Stories are spread amongst Aboriginal people in the South West, so that they can help create a ripple of hope and healing in local communities. The Carrolup Story is one that enhances cultural pride, which in turn facilitates connection to culture. Connection to culture is the single most important factor in helping Aboriginal people and their communities heal from intergenerational trauma and its consequences (e.g. psychological problems, addiction, suicide). Of course, the Carrolup Story can impact positively on other groups of Aboriginal people in Australia, as well as Indigenous peoples in other countries impacted upon by European colonisation. It is also important that non-Aboriginal people learn about this Story. We will also celebrate the achievements of Noel White, the teacher who helped the children overcome their trauma and inspired their art, and the 71-year old Englishwoman Mrs Florence Rutter who exhibited the Carrolup art on both sides of the world to much public acclaim. Mrs Rutter told the Carrolup boys that she would do all in her power to make their work and circumstances known throughout the world. We are taking up Mrs Rutter’s mantle, having in our possession far more powerful tools to tell, and distribute, this Story to the world. Mrs Rutter believed that the boys could help show a way forward for Aboriginal people in Australia. Even though the boys have passed on, their spirit remains today, and they can still help ‘show the way’. Their Story illustrates resilience in the face of considerable adversity. Noel White was a man ahead of his time. His approach to education, using the arts to facilitate communication, learning and creativity was revolutionary for the time. He showed the essential elements underlying the healing of trauma (and its consequences) long before researchers and practitioners outlined their ideas. He demonstrated the key importance of empowerment and connection, and of creating an environment of safety. He provided hope, and helped create in the children a sense of belonging, a sense of pride, and a strong identity. By telling the Carrolup Story, we can enhance awareness of what is required to help people overcome trauma and its consequences. Our Story shows the impact of prejudice and racism, which are strong barriers to healing from trauma and its consequences. 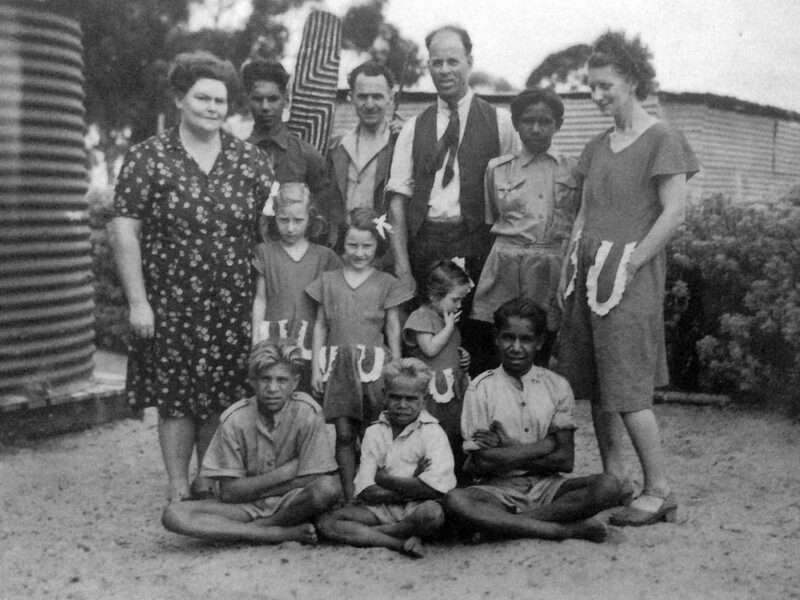 At the same time, it shows how some non-Aboriginal people of the 1940s and later rose above the prejudice and racism that was so endemic at the time. 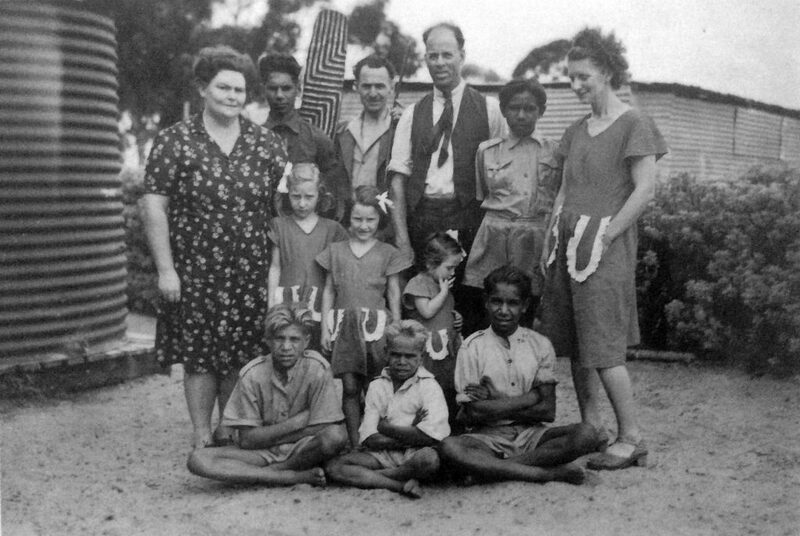 We will highlight the roles played by non-Aboriginal people (other than Noel White and Florence Rutter) who helped the children during their time at Carrolup, and after the school closure when the children faced the adversities of living in a white-dominated society that considered them ‘inferior’. By enhancing public awareness of the issues that have been faced by Aboriginal people, and celebrating their successes, we aim to help reduce prejudice and racism. We will also help non-Aboriginal people learn from Aboriginal people and their culture. For example, there is much that Aboriginal people can teach us about protecting the environment. Moreover, their holistic approach to wellbeing is far richer than western culture’s view of mental health. It is time that Aboriginal and non-Aboriginal walked alongside each other on equal terms to help create a society where people have an improved wellness, are more respectful, caring and empathic towards their fellow man, and more protective of our planet. Telling the Carrolup Story is a stepping stone towards us contributing to this ideal. Please don’t forget, you can read a Summary of the Story in 12 instalments, starting here.